Ask fellow campers about "West Beach Resort " and nearby attractions. Quiet family-friendly resort on Orcas island. Convenient to Moran State Park. Whale watching tours depart from the resort dock daily, which was nice. Campground was fairly basic, campsites all had a nice carpet of grass and seemed fairly level. Water view sites looked fantastic but book far in advance. Restrooms and grounds were clean and staff was helpful. We'd definitely stay here again, hopefully for a few weeks one summer. We camped at West Beach Resort in a Tent. 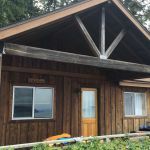 We stayed here on Orcas Island July 16-20; we had one of the three sites that have a view of the ocean (with beautiful sunsets). These are large sites with pull through capability, tables and fire pits. They don't have much shade, but you're right on the ocean and there is plenty of cool breeze. The other 8 sites don't have the spectacular view but have some shade and are back in, not pull through. The staff at West Beach resort are very friendly and helpful. There are numerous things to do there: 5 days of the week they have various craft projects for the kids; there is a sand volley ball set up, tether ball, rope swings, and lots of opportunities for the person who wants to fish or go crabbing. They have a nightly campfire at the beach and a hot tub. There are also numerous whale watching companies in the area. 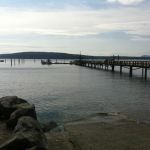 Nearby is Friday Harbor on San Juan Island; we went there for the day but found it touristy and commercial but others might enjoy it. Moran State Park is on Orcas Island and we went there for a day; lots of hiking trails and a drive up to the top of Constitution Mountain. From the top of the mountain you can see all the way to Mt. Rainier on a clear day. A few things to be aware of: the toll for the ferry from Anacortes (the port for the ferries that go to the islands) can be expensive. They charge by the overall length of your vehicle and rig as well as number of passengers. We had our SUV and a 16' trailer; it came to nearly $200. Longer rigs could cost even more. Once you're on the island, travel between the other islands is free. You can even make it over to Sydney, BC on Vancouver Island and go from there down to Victoria, but be sure to bring your passport (this ferry ride isn't free). The second thing is there is no dump site at West Beach Resort; they told s the only dump site on the island is at Moran State Park, which is about a 30 minute drive. What they didn't tell us is that there is a free dump site in Anacortes at 4th and T street, so if you can wait to drain your tanks when you leave the island, you can save yourself a lot of time and trouble. We had a great time at this place and would highly recommend it. We camped at West Beach Resort in a Travel Trailer. Are you affiliated with West Beach Resort ?